December generally saw a decline in lending on a net monthly basis. However loans ‘for the purpose of consumption and house purchase’ increased by €45 million and €12 million in December. 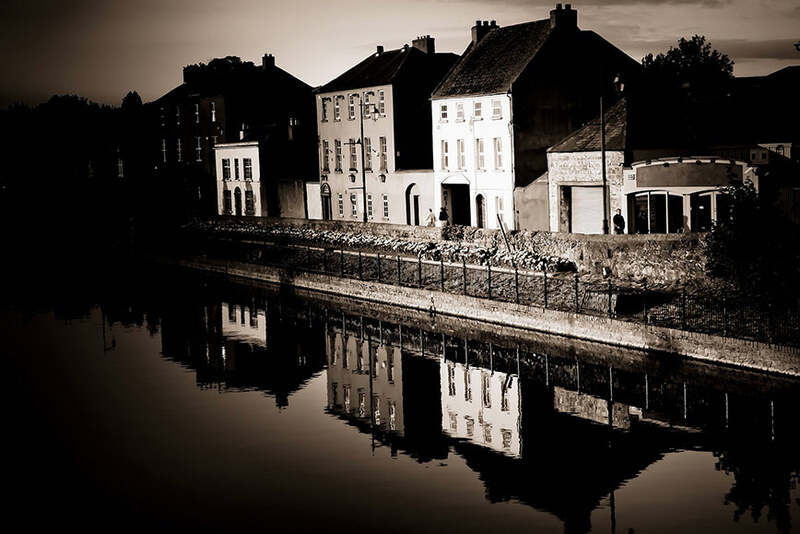 Annually lending to households in Ireland continued to fall – a decline of 3.7% in December. 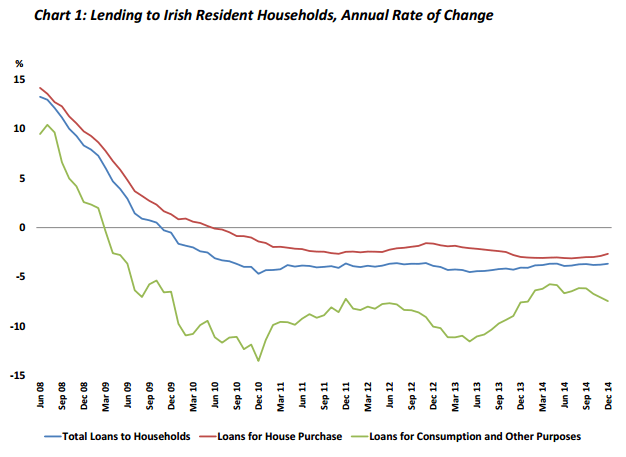 The following chart shows annual rate of change for lending to Irish households, including total loans to households, loans for house purchase and loans for consumption and other purposes. There is a visible slight uptick in the amount of loans for house purchase, but lending overall looks fairly static compared to last year. In other recent news, the Central Bank has announced a new range of lending regulations. The accompanying Money and Banking Statistics release includes links to charts and full statistics. Also see below for sources. Main image by Antoskabar @ Flickr.